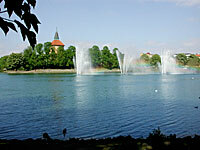 If you want a break from downtown Malmö, museums and shopping, visit one of Malmö's wonderful parks and gardens. Most of them were laid out some 150 years ago. 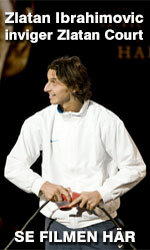 Malmö has many interesting landmarks and architectural masterpieces that witness about Swedish history. 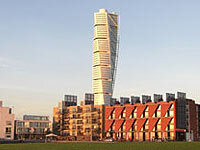 However, Malmö is also the place where several astonishing modern architectural project have been completed. 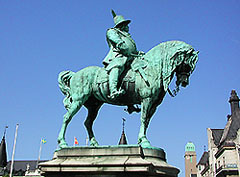 Malmö has many interesting squares and statues from the old Swedish history. There are public beaches right next to the city center of Malmö. The water is clean and the sand is white. And the shallow Øresund makes it perfect for allowing your kids go in the water. 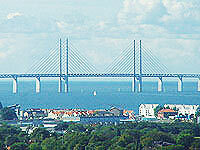 The Öresund Region is today one of Europe's most important areas in terms of growth and environment, and the bridge has been a important factor here.